All my work in QGIS is missing when i tried to export via pdf, jpg or impress (including scales, legends, maps, layers, georeferenced photos). I'm not using any "OpenLayers Plugin". I had already tried to export by "Maps Printer" Plugin. The legends and scale are there, but the map no. Then drag your cursor across the blank template. 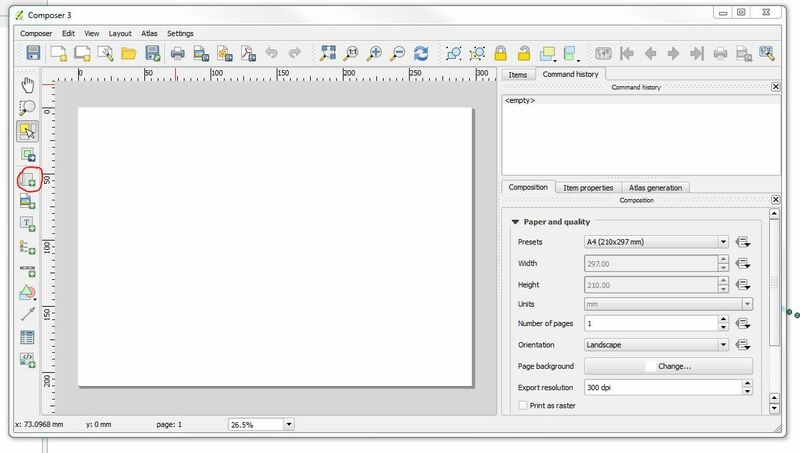 Your paper size and printing setting are on the right side of the screen. Not the answer you're looking for? Browse other questions tagged qgis export print-composer printing pdf or ask your own question. How to avoid map refreshes in print composer?